The 114th Congress has seen a shift in power toward the Republican Party for the first time since 2006. Voters weary of deadlock on Capitol Hill will hold their newly elected representatives to a high standard and hope that they will work together to tackle the issues facing the nation today. After a summer of conflicts around the world, national security will be a top priority for the incoming Congress. However, lingering business from the present legislative session remains unresolved. The National Defense Authorization Act (NDAA), ordinarily considered must-pass legislation, has been made especially contentious with the consideration of a new military commitment in Iraq, the possibility of a new Authorization to Use Military Force, and a number of other issues. The Senate may tackle the NDAA in the lame duck session, but with few days remaining on the legislative calendar, time is running out if the 113th Congress hopes to pass this bill before their successors take the oath of office. The new Congress will have the responsibility to influence the direction of American missile defense policy as a number of modernization programs advance in the coming years. Internationally, cooperation with allies will continue to progress, as will discussions with Russia. The following are key missile defense issues that will face the incoming Congress. One of the most critical issues facing the incoming 114th Congress is the return of sequestration, which is poised to make its return in 2016. Provisions that allowed for smarter discretionary spending cuts under sequestration, enacted into law by the Bipartisan Budget Act of 2013, are set to expire in Fiscal Year 2015. Without Congressional action to solve this problem, non-discriminate spending cuts to discretionary spending, including defense, will return to wreak havoc on the budget. In April, the Department of Defense issued a report outlining the impact of sequestration level funding on its budget. The report details “significant cuts to forces, modernization, and readiness” across all services and programs. Among the potential casualties of a return to sequestration level spending are two new key components of the national missile defense system; the Long Range Discrimination Radar (LRDR) and the next generation Exoatmospheric Kill Vehicle (EKV). The Missile Defense Agency’s FY15 budget request calls for $79.5 million to begin development of Long Range Discrimination Radar. 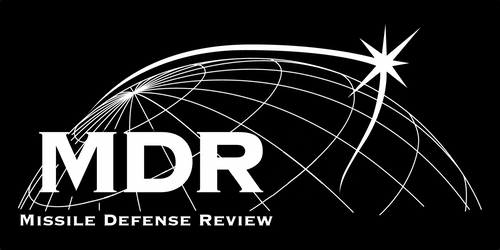 In a press briefing, VADM James Syring, MDA Director, described the LRDR as a “midcourse tracking radar that will provide persistent sensor coverage and improved discrimination capabilities against threats to the homeland from the Pacific theater.” The LRDR seeks to address an issue many critics focus on as a weakness of Ground-based Midcourse Defense System (GMD), which is its ability to discriminate an incoming warhead from decoys or other objects in a threat cloud. The second major modernization program under development is the next generation EKV. The new EKV aims to address a number of issues that are lacking in the CE-II. First, the new interceptors will be given new communications packages that will allow them to communicate with each other, and the rest of the system on the ground, to confirm a successful intercept. This will allow the system to lower the “shot doctrine”, or the number of interceptors needed to successfully destroy an incoming warhead. The new EKV will also be more easily produced. Current generation interceptors are essentially hand-made, a delicate process inviting the possibility of error. Making the interceptors more “produceable” will improve their reliability. The return of sequestration in FY16 will put these programs in jeopardy and undercut the momentum that GMD gained in its successful test on June 22nd of this year. These new programs are essential in making the only system capable of defending the nation from a long-range ballistic missile attack even more effective and reliable. The new Congress must act to ensure that these critical modernization programs remain fully funded. Another key BMD issue that will fall on the 114th’s Congress’s lap will be the authorization construct a third homeland missile defense site in the Eastern United States. The site would be similar to missile defense site in Alaska, with 30-60 silos containing Ground Based Interceptors. Positioning the site in the Eastern United States would allow it to better contend with an eastward bound ICBM than the interceptors in Alaska or California. In the FY 2013 NDAA, Congress directed the Pentagon to begin an Environmental Impact Study (EIS) of possible locations. Pursuant to that directive, the Missile Defense Agency down-selected to four contenders: Camp Ravenna, Ohio, Fort Custer, Michigan, Fort Drum, New York, Portsmouth SERE Training Area, Maine. MDA conducted public awareness and feedback events in each of the communities over the summer. Under the current timetable, the MDA will complete the EIS by the end of 2015 and will recommend one of these four locations to base the site. It is quite possible that the EIS could be completed before then. Assuming that it runs on the declared timeline, however, the DOD’s recommendation will fall just before the White House issues its FY 2017 budget, and the 114th Congress begins the FY 2017 NDAA process. In authorizing funding for the third site, there are several policy issues that the Congress will likely take up. Congress, for example, will ultimately decide the location of the site. It is likely that it will decide place the site where MDA recommends, but there is a remote chance they could override MDA’s recommendations. Wherever the site is located, the nearby communities will likely see a significant economic boost. Phase II of the European Phased Adaptive Approach is on schedule to become operational in Romania in 2015. The Aegis Ashore, armed with SM-3 Block IB missiles, represents a milestone in the defense of the United States and its allies around the world from the Iranian ballistic missile threat. The system has proven itself to be especially capable in recent tests. However, missile defense in Eastern Europe has continued to feature prominently in disagreements between Russia and the West and has the potential to disrupt or derail arms control agreements. In July, the State Department issued a report formally accusing Russia of violating the 1987 Intermediate Nuclear Forces Treaty (INF). The report does not indicate which system is in violation. Moscow responded its own accusations of potential U.S. violations; among them two that are directly relevant to missile defense sites in Europe. A statement by the Russian Ministry of Foreign Affairs outlines its concerns over missile defense target-missiles that it believes share characteristics with INF ranges missiles, and the MK-41 launcher used by the Aegis Ashore system. Russia asserts that the MK-41’s ability to launch both defensive and offensive missiles, including cruise missiles, could be a direct violation of the INF Treaty. While the Russian government has stated that it will not leave the INF Treaty “unless its security interests are threatened”, the status of the treaty amid increased tensions is a concern. A summer of heated verbal exchanges between the U.S. and Russia culminated in a September meeting in Moscow to discuss the INF violations. The meeting resulted in deadlock and dialogue between the two nations seems to have gone cold. Recent statements by Russian Foreign Minister Sergei Lavrov have been pessimistic in his outlook acknowledging the depth to which relations with the United States have sunk saying “we have already gone far and deep enough. I really hope that this decline in the level of cooperation has hit the end.” Despite the differences, Lavrov stated in October that Russia is prepared to discuss disarmament issues with the United States. Should arms control discussions take place in the near future, the new Congress may have a big challenge before them on a number of issues impeding or disrupting present or future agreements. Perhaps the Russia’s greatest concern is the potential of U.S. missile defense in Europe to undermine its strategic nuclear forces. Russia has suggested a number of measures to resolve this concern including the reinstatement of inspections under the INF Treaty, to include portions of American missile defense sites and or a legally binding guarantee that Russian missiles will not become a target of American anti-ballistic missile systems. Congress must ensure that a dialogue remain open with Russia on strategic issues. While imperfect, arms control should remain a tool at the disposal of the United States in relations with Russia. The verification and transparency measures play an important role in bi-lateral relations between the countries with the world’s largest nuclear arsenals. This entry was posted in Aegis Ashore, Budget, Congress, Europe, European Phased Adaptive Approach, Ground Based Midcourse Defense System, International Relations and tagged arms-control, Congress, Department of Defense, East Coast Missile Defense System, European Phased Adaptive Approach, Intermediate Range Nuclear Forces Treaty, Long Range Discrimination Radar, Missile Defense Agency, Russia. Bookmark the permalink.